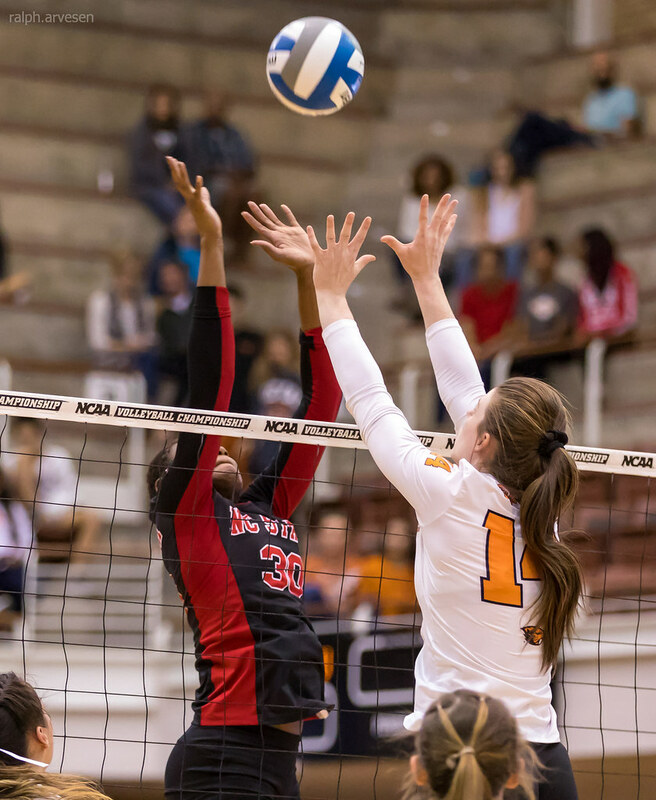 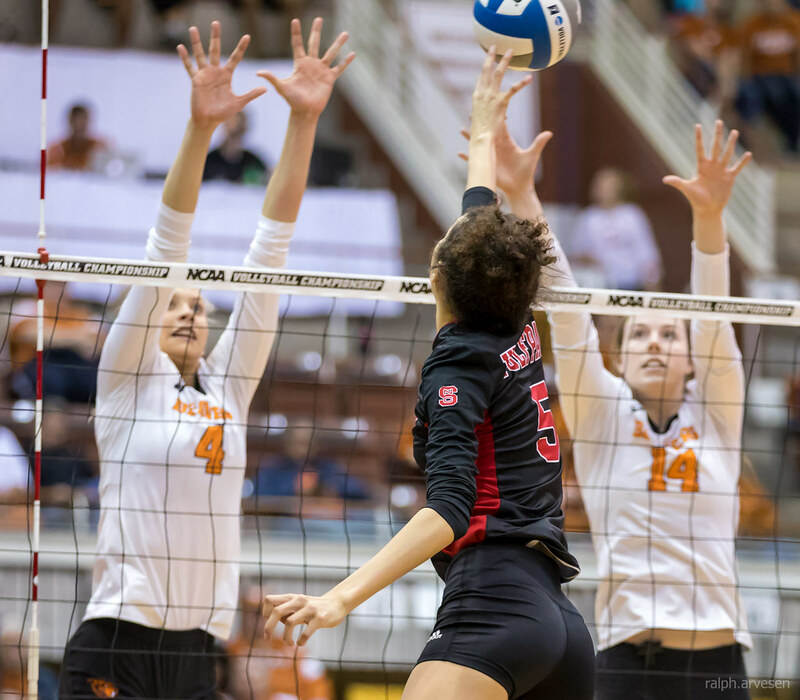 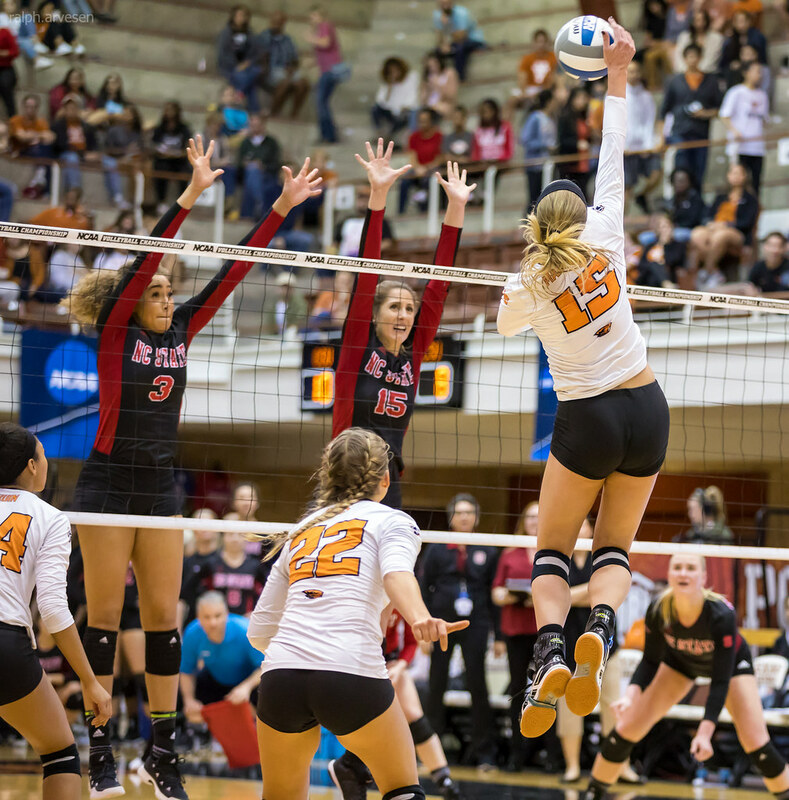 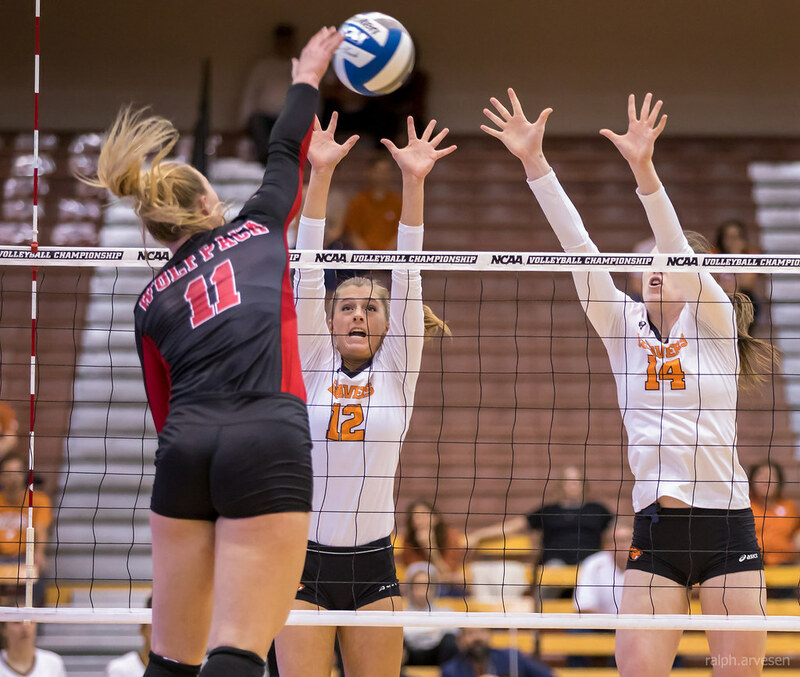 Oregon State Beavers in the first round of the NCAA Volleyball Tournament against North Carolina State, in Austin, Texas on December 1, 2017. 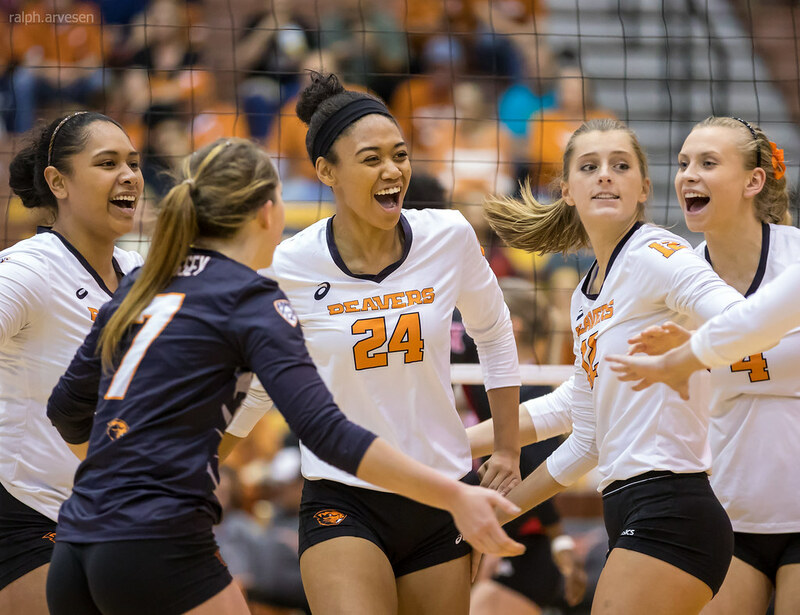 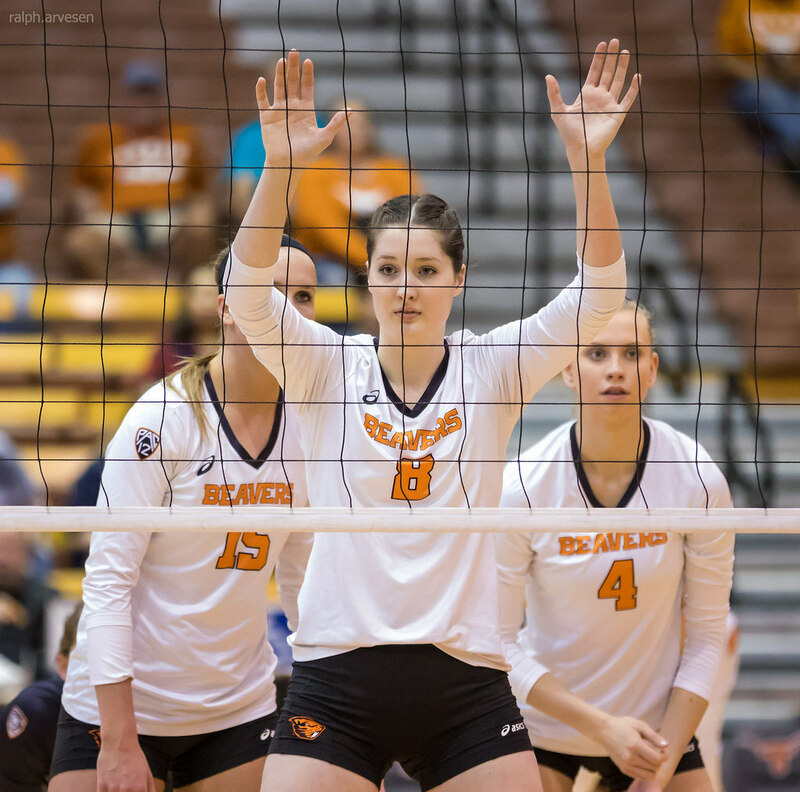 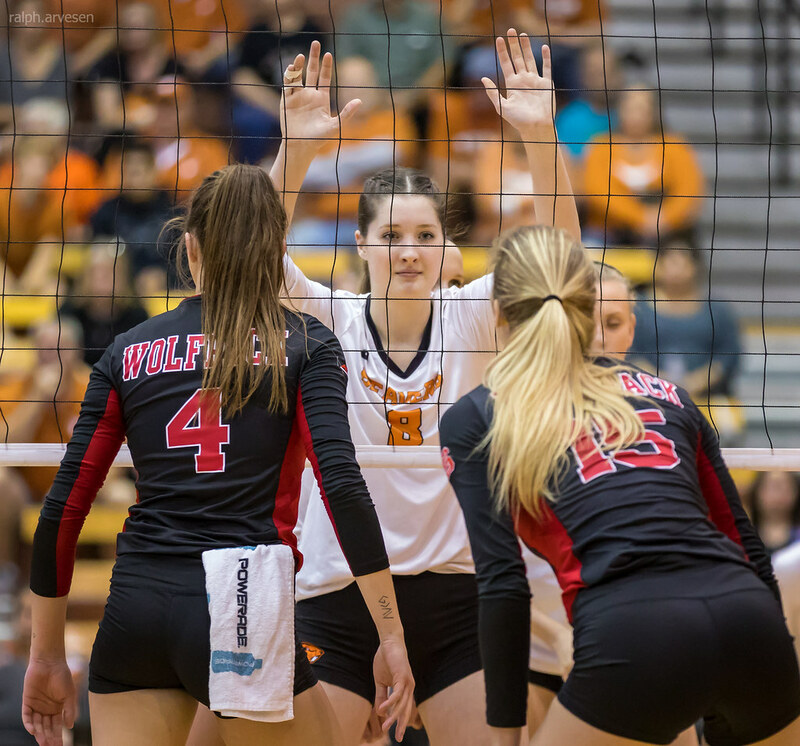 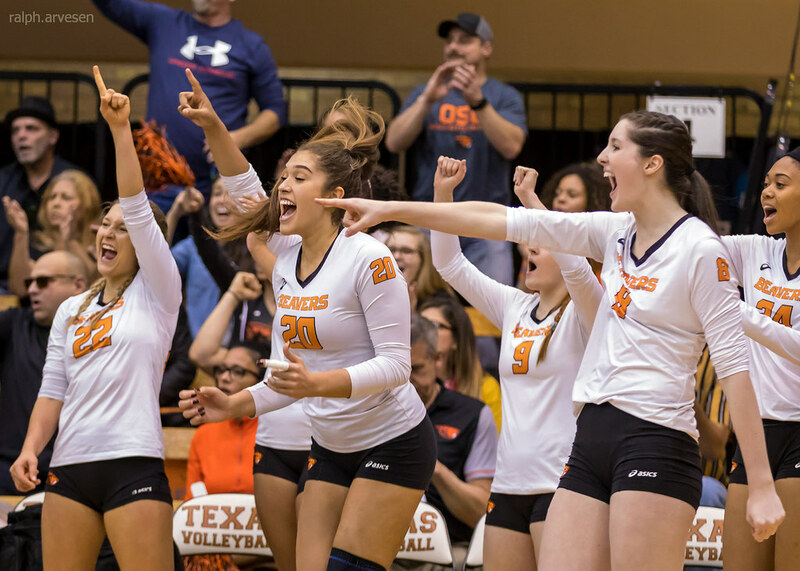 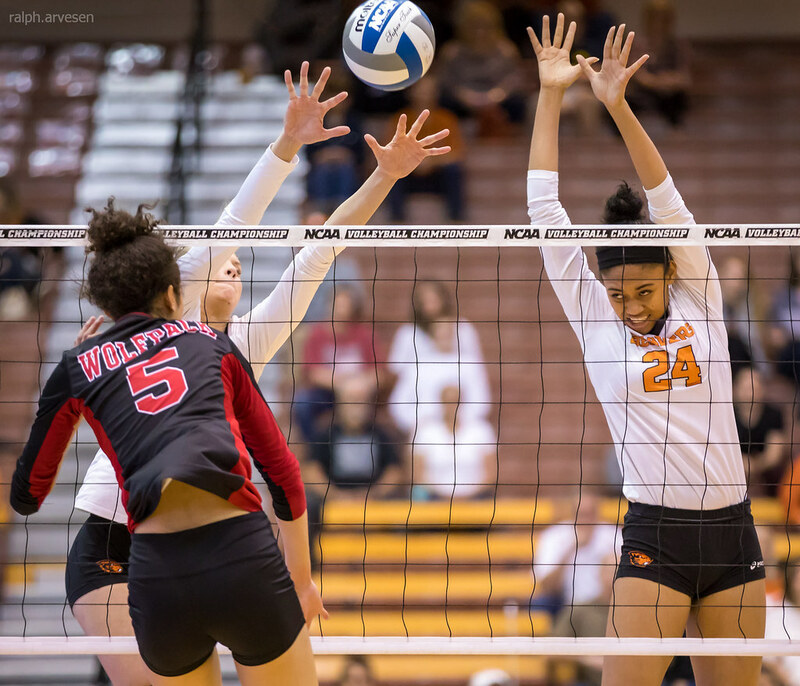 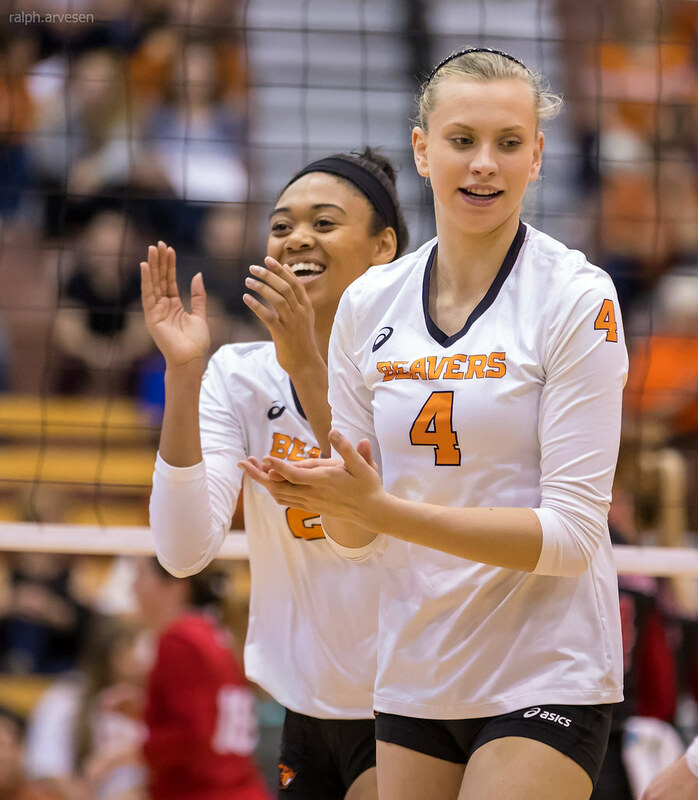 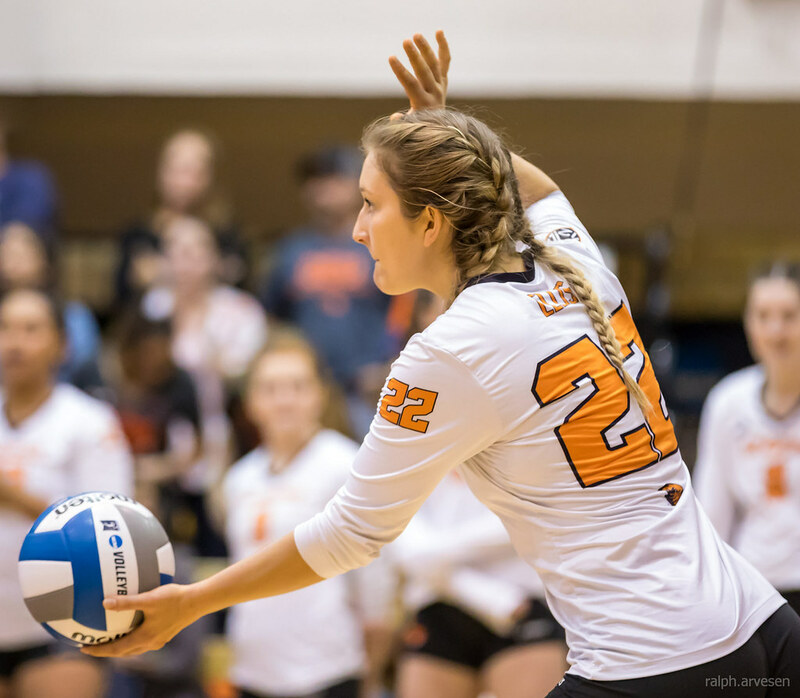 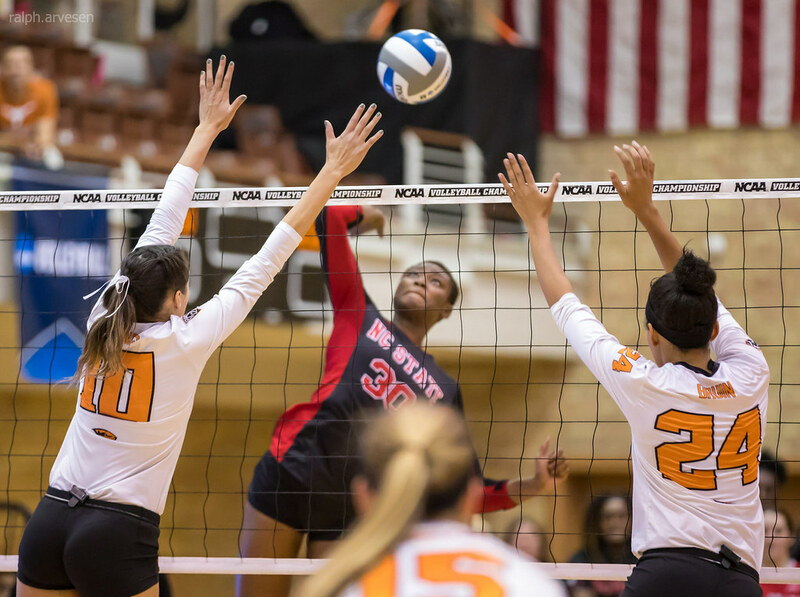 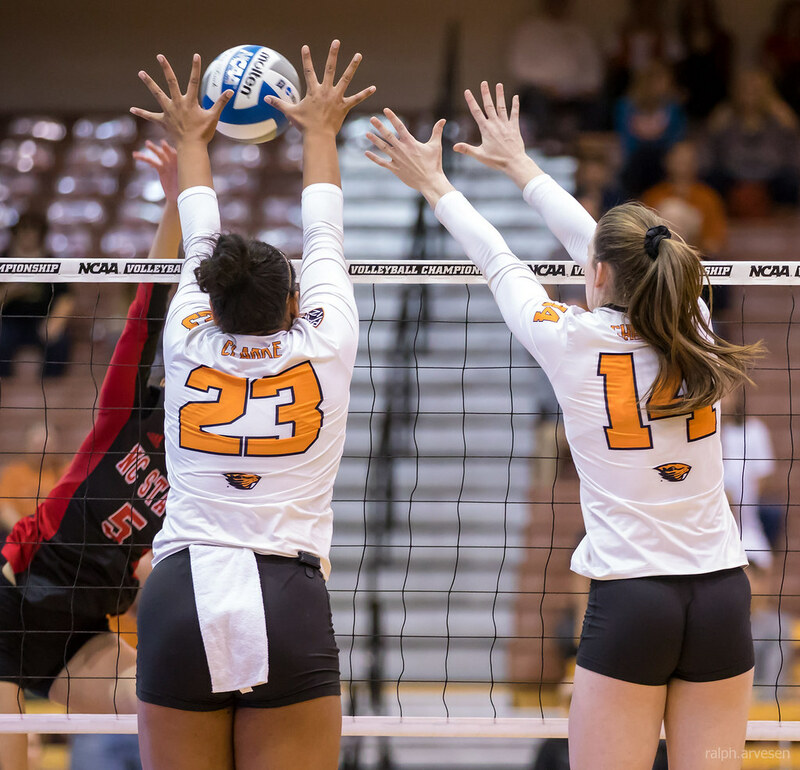 The Oregon State volleyball team's season came to an end Friday evening in a five-set loss to NC State in the first round of the NCAA Tournament. 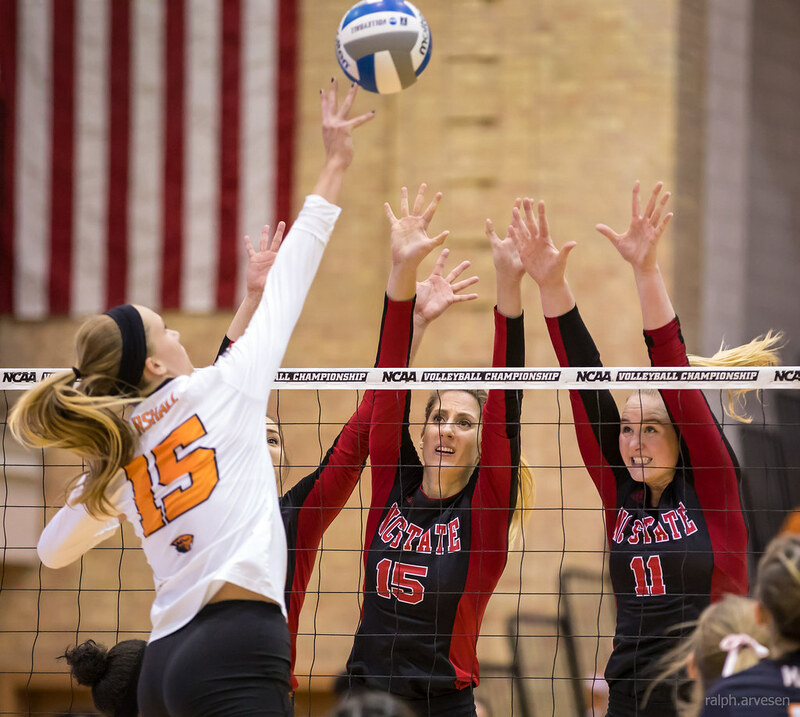 Set scores were 18-25, 25-19, 21-25, 25-21, and 13-15. 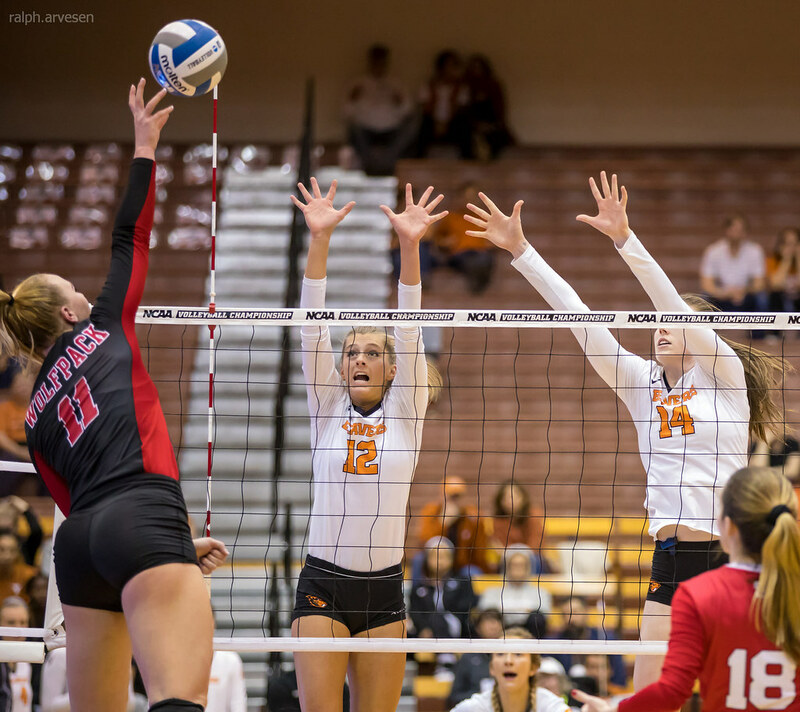 The loss also marks the final collegiate match for senior Mary-Kate Marshall, who posted a team-high 19 kills to go with a pair of aces, eight digs and three blocks. 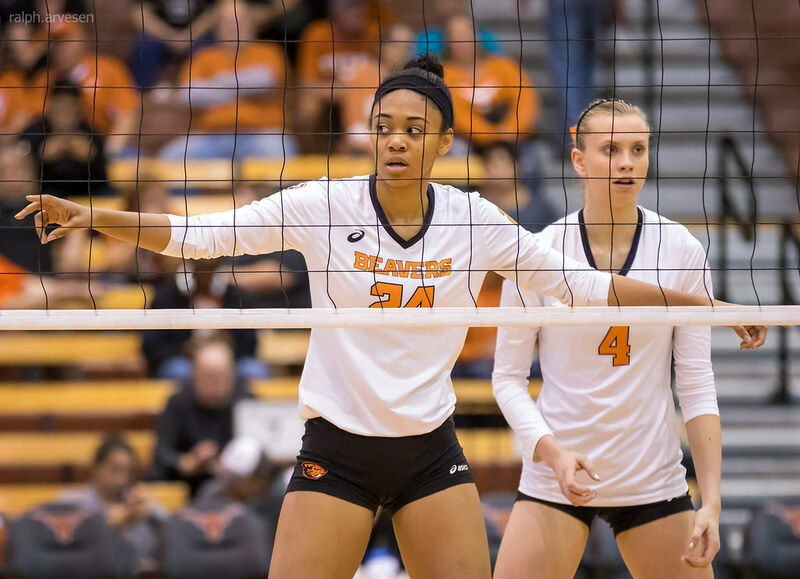 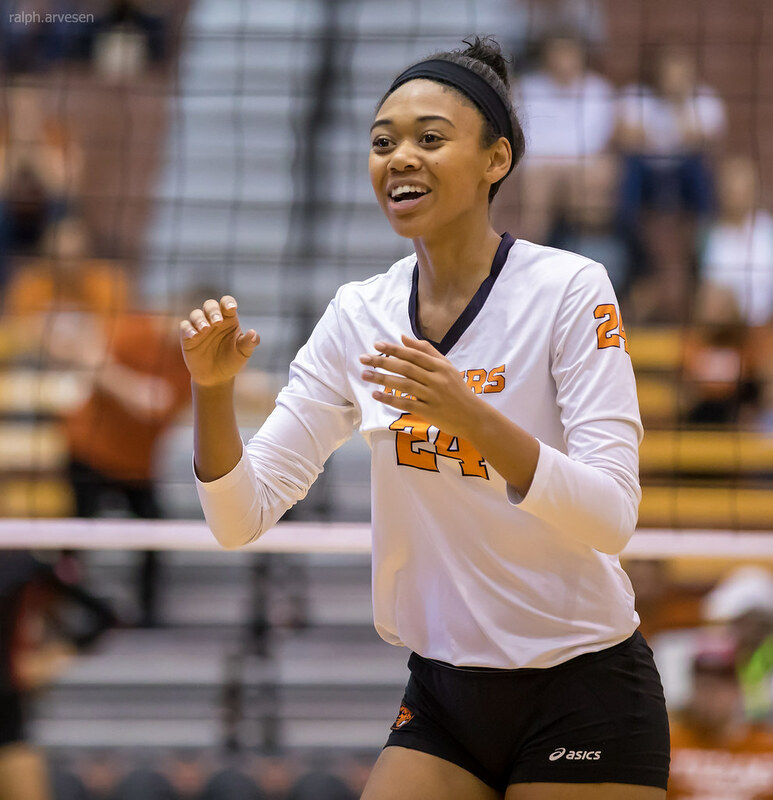 It also marks the end of OSU careers for McKenna Hollingsworth and Lanesha Reagan, each of whom suffered season-ending injuries earlier this season. 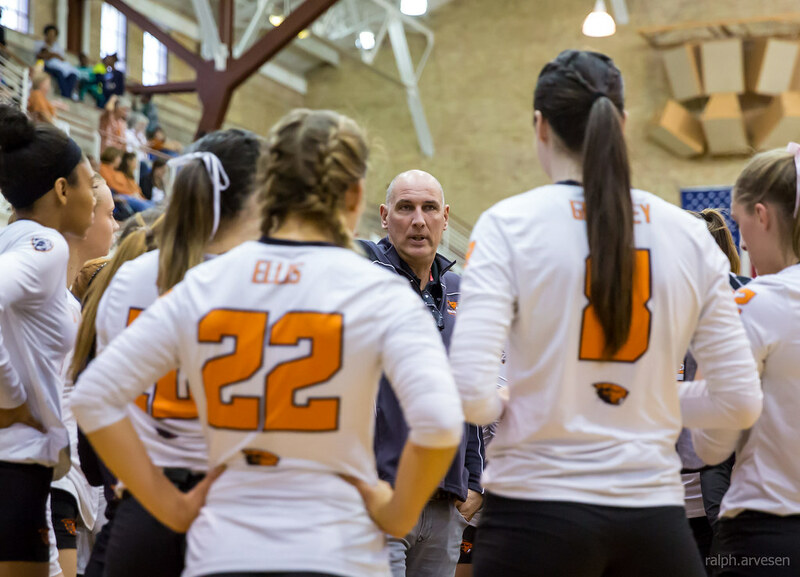 "I'm proud of what the team accomplished this year," head coach Mark Barnard said. 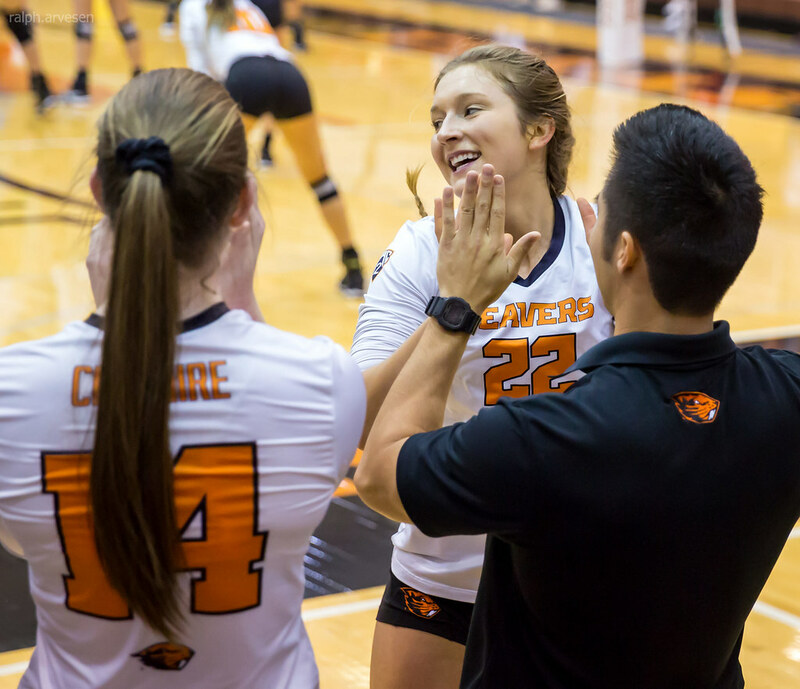 "We have had a fantastic 12 months. 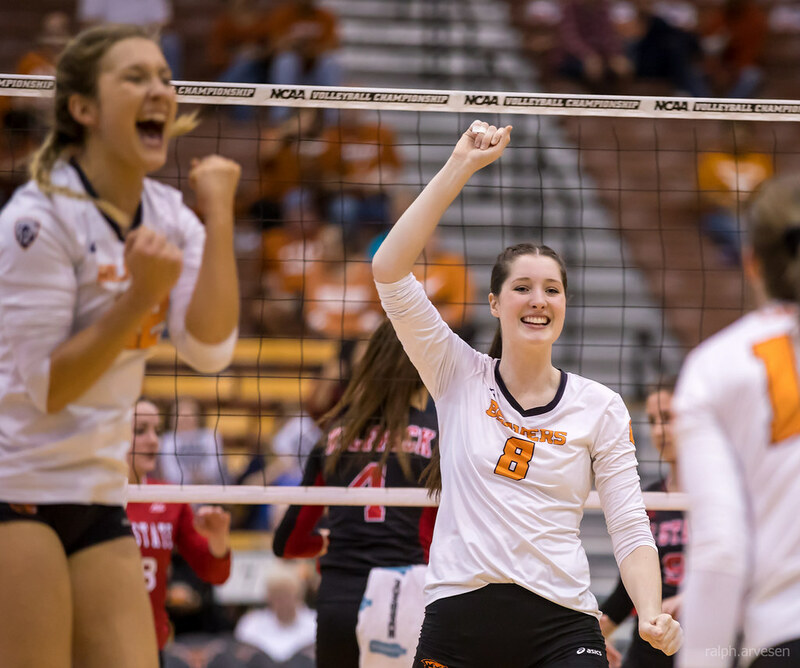 Twelve months ago, we were sitting at home watching this tournament. 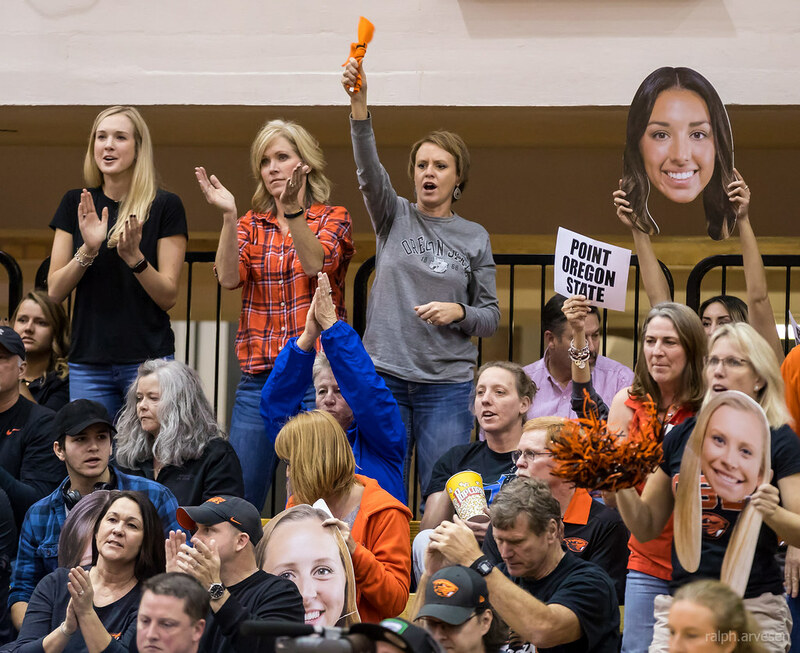 That's a big difference. 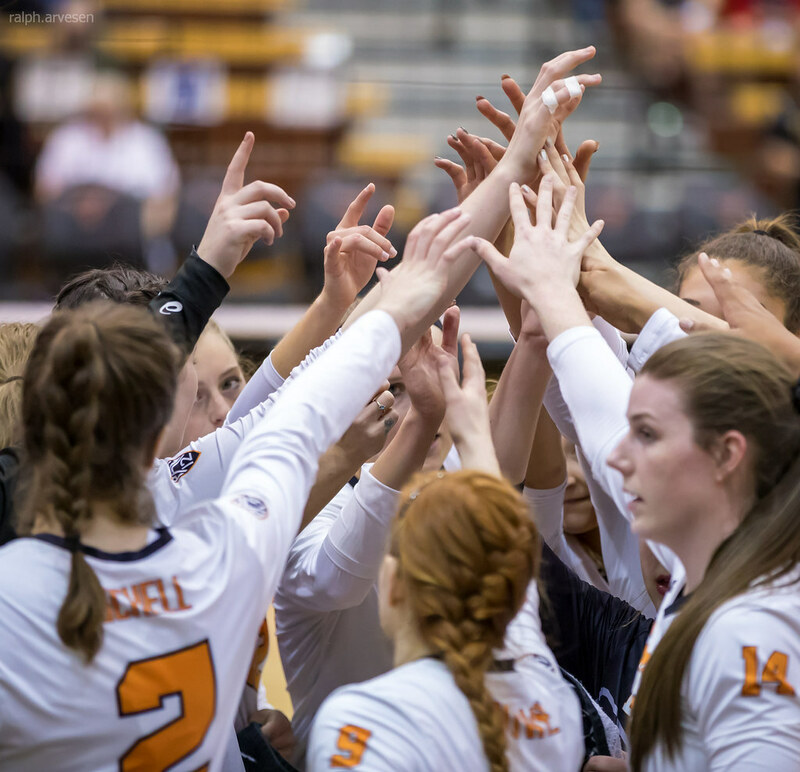 "It's always hard to lose, but today we were beaten by a better team. 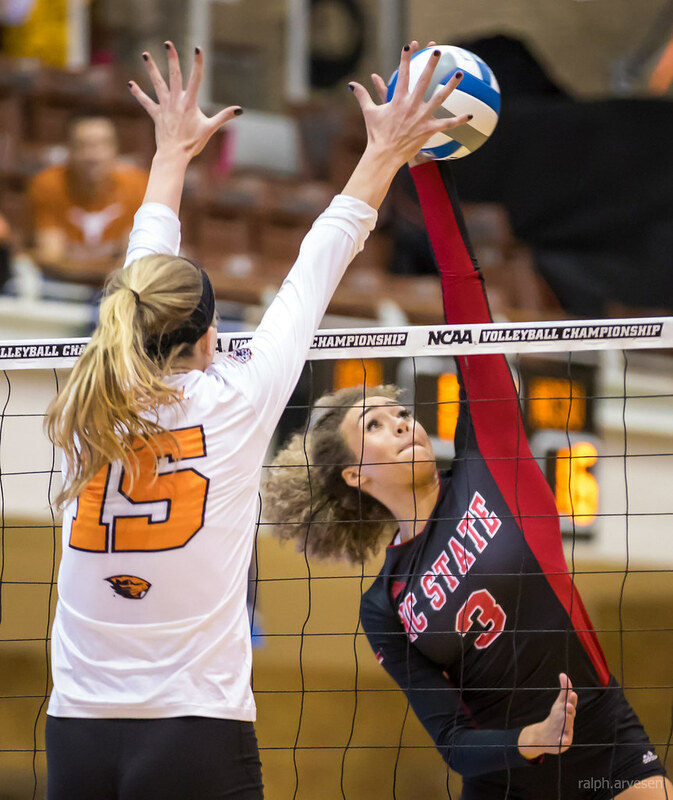 (NC State) deserved to win. 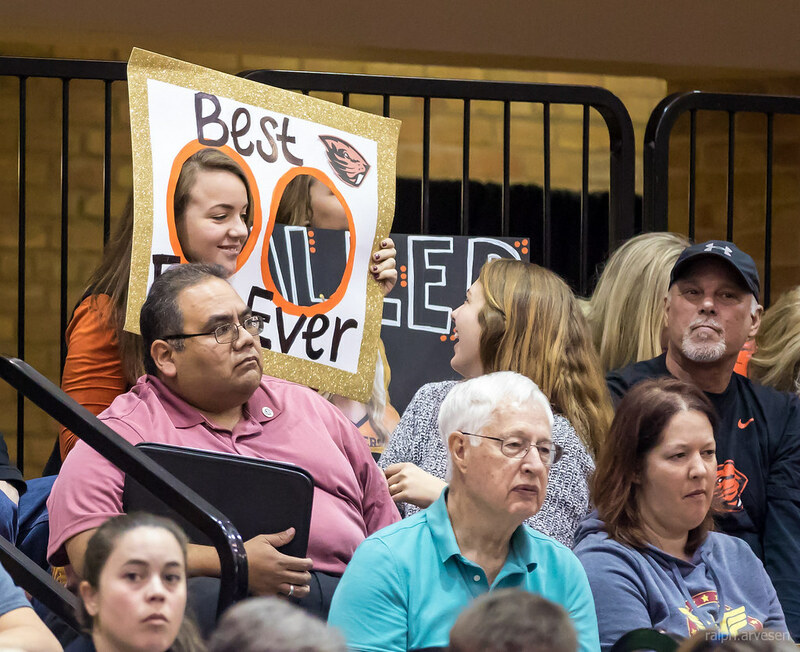 There's no doubt. 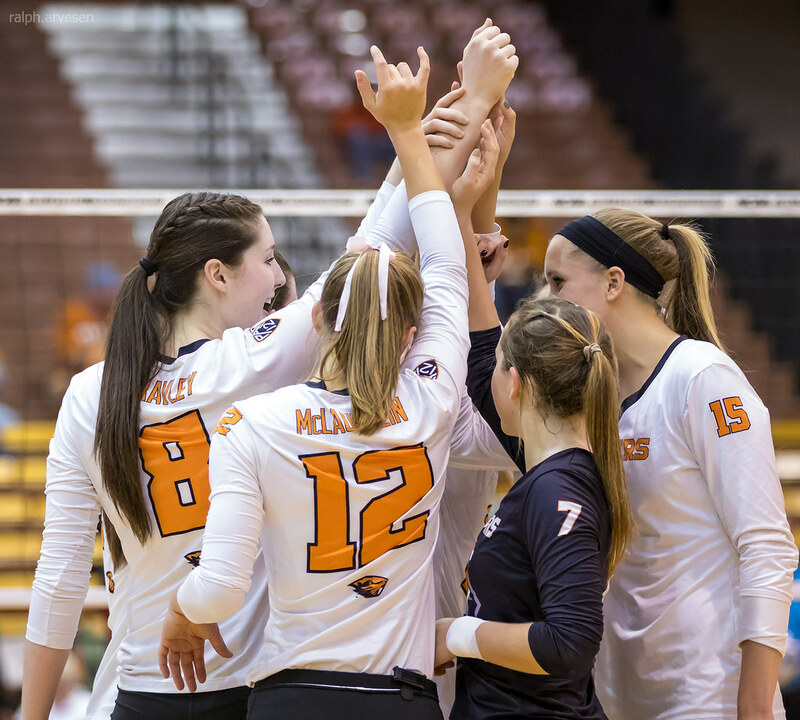 They played the way we wanted to play. 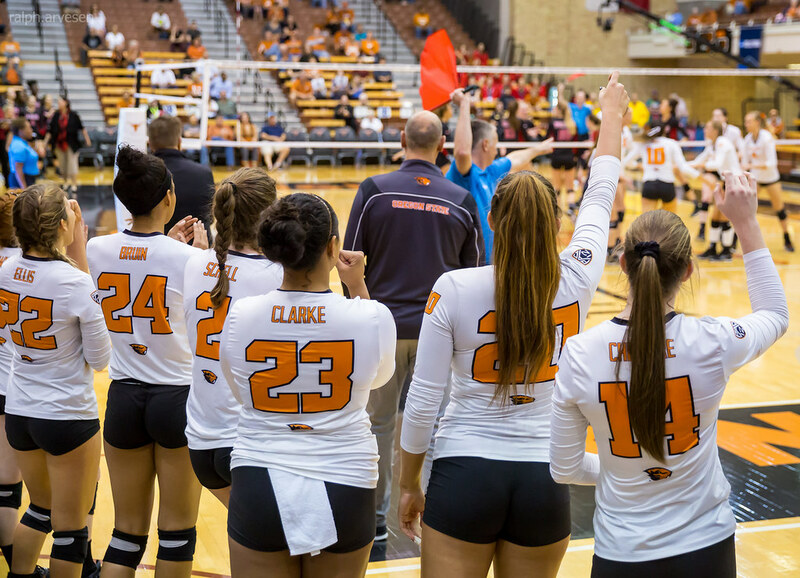 They didn't allow us to play that way. 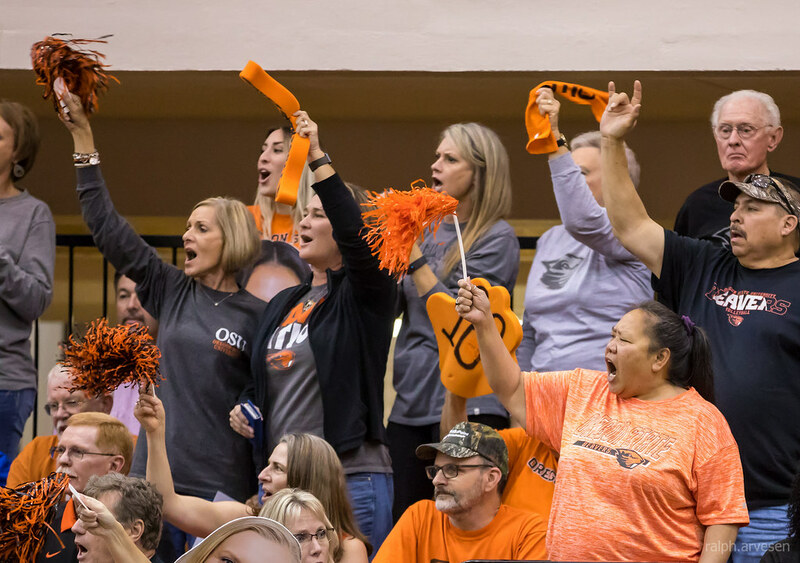 We tried as hard as we possibly could. 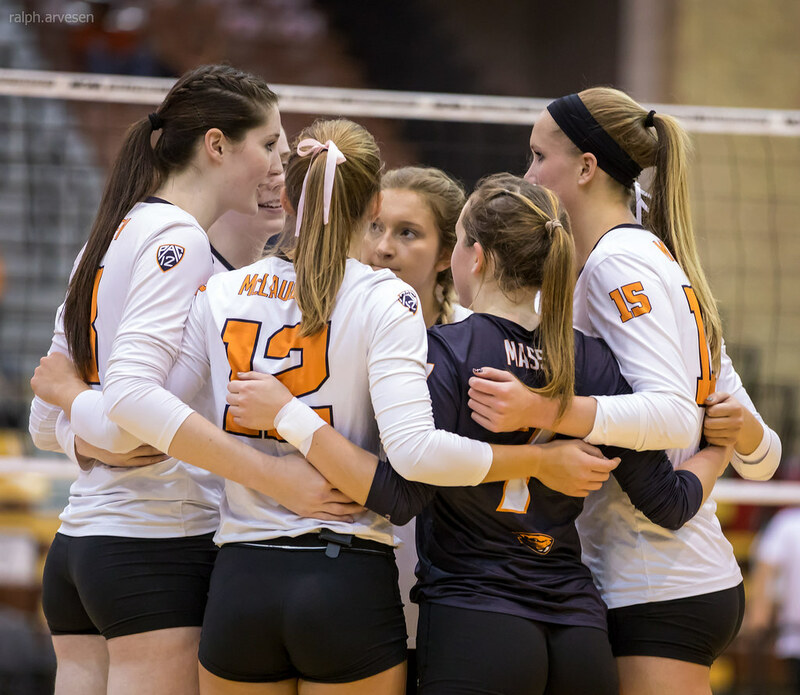 Unfortunately, we just didn't match up to them physically. " 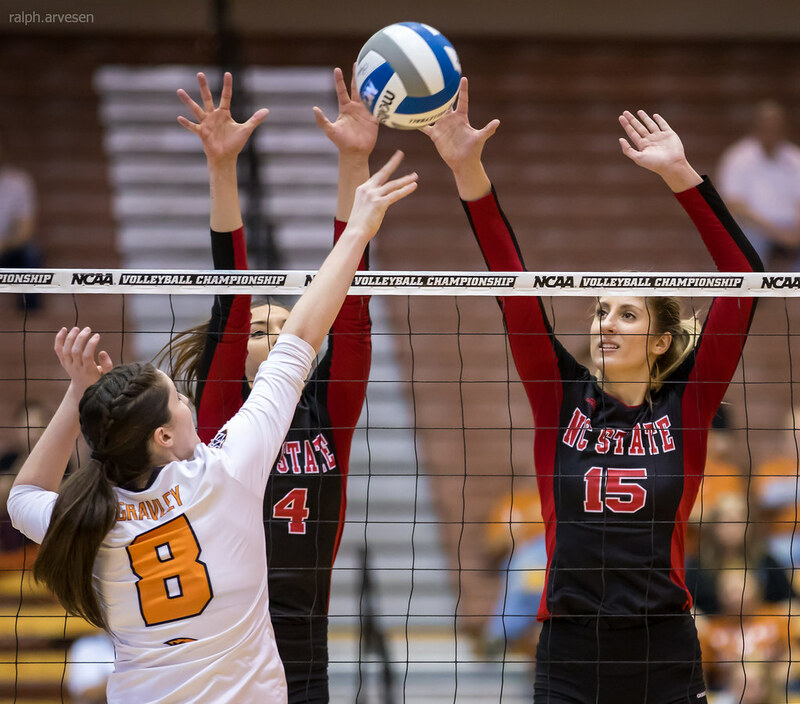 NC State started the match on a roll, cruising to an early 13-6 lead in the opening set. 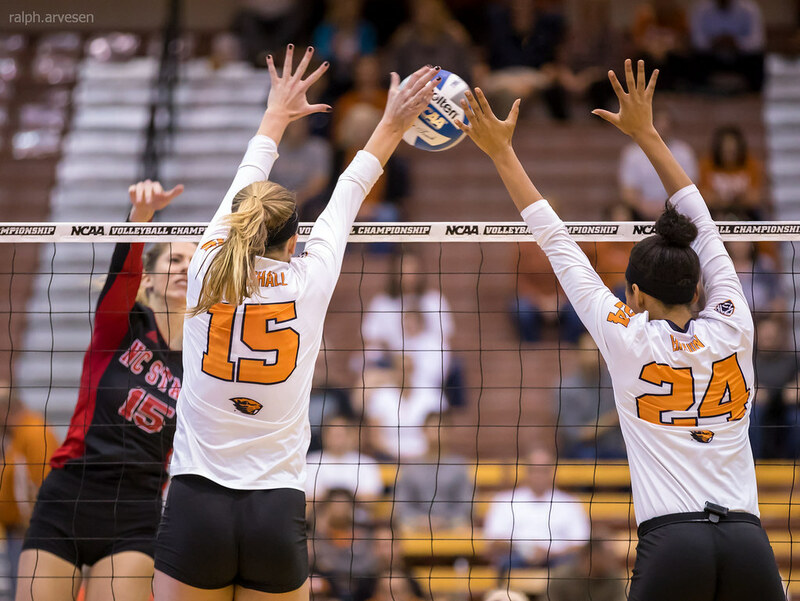 Oregon State pulled together to close the gap to 14-10 but couldn't sustain the momentum surrendering the first set 25-18. 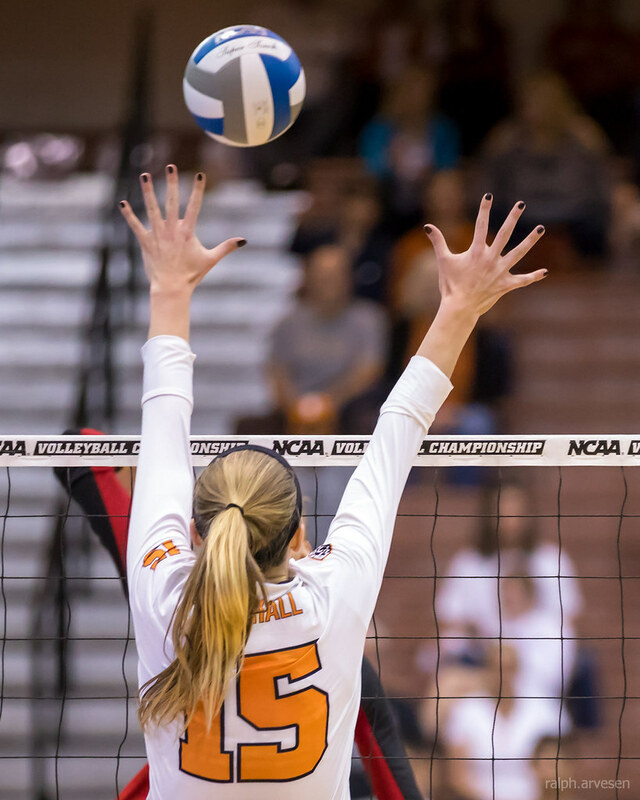 OSU took a quick lead in the second set, but the score was back to even at 6-6. 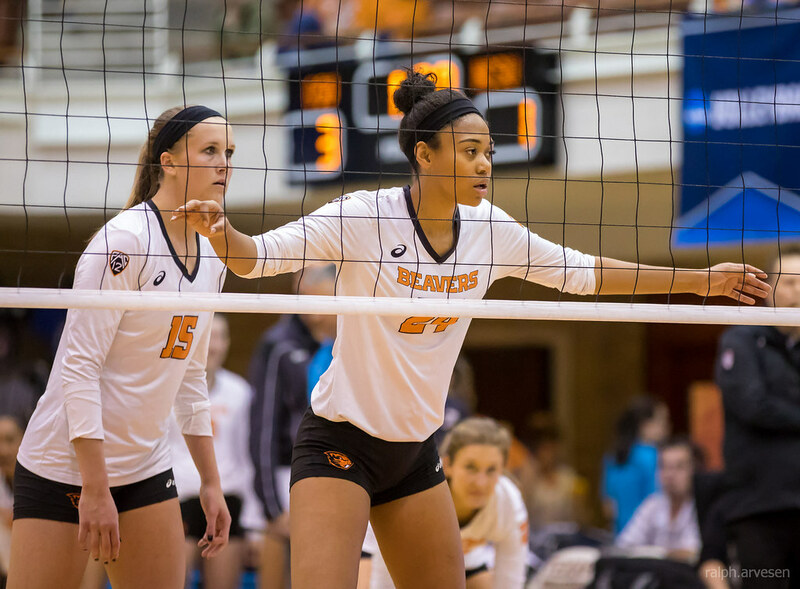 The Beavers began to open a lead behind the serving of Kayla Ellis pulling ahead 9-6. 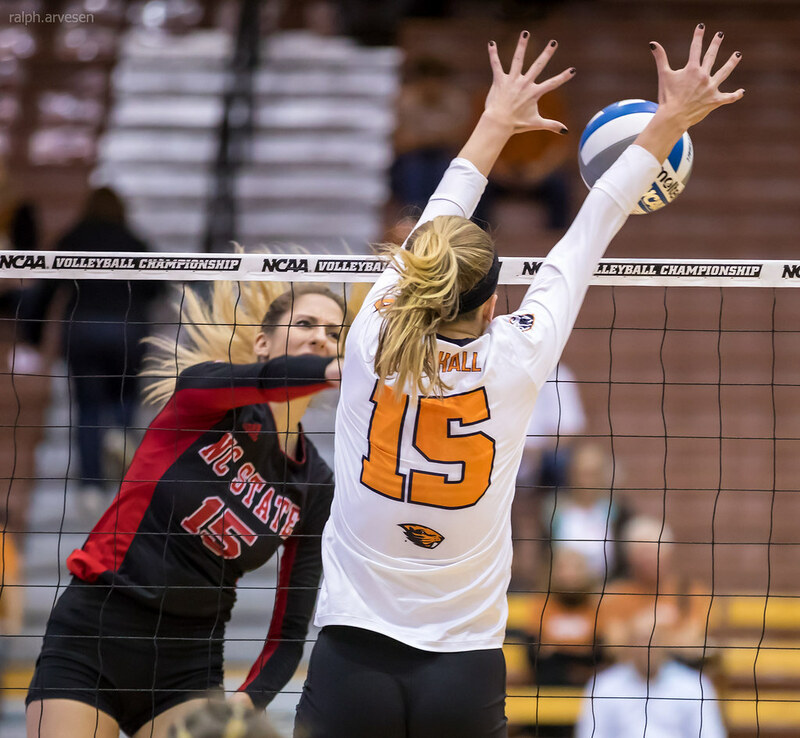 Oregon State continued to press holding the lead at 21-16. 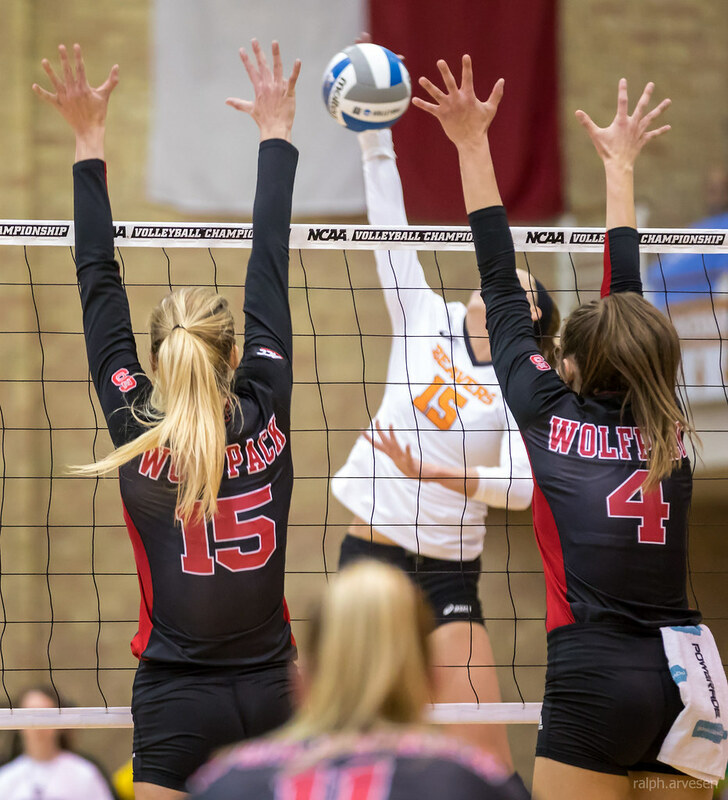 However, a 3-0 run by the Wolfpack made it 22-19 forcing an OSU timeout. 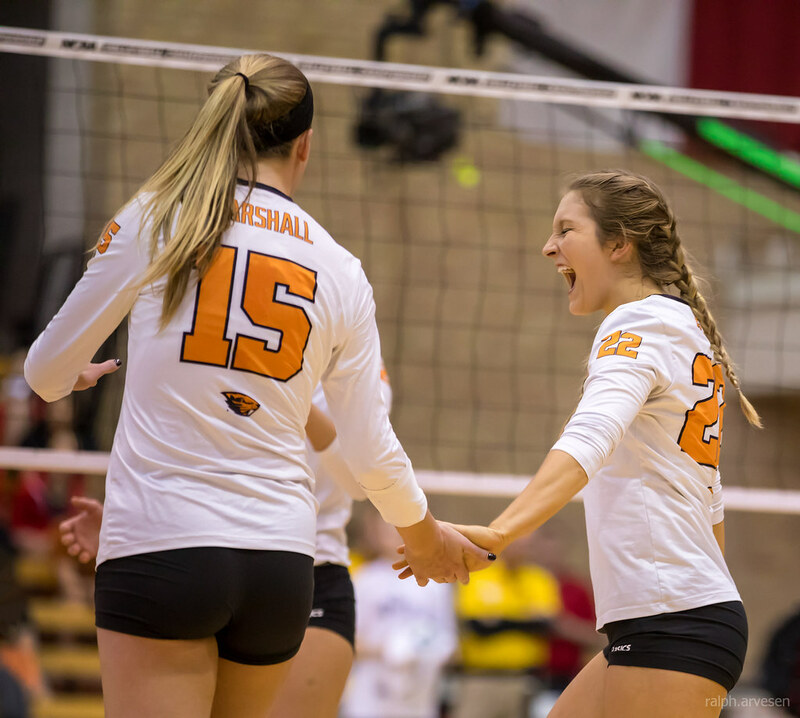 The Beavers came out of the break to finish off the set 25-19 with kills from Marshall and Haylie Bennett, who recorded five kills in the period. 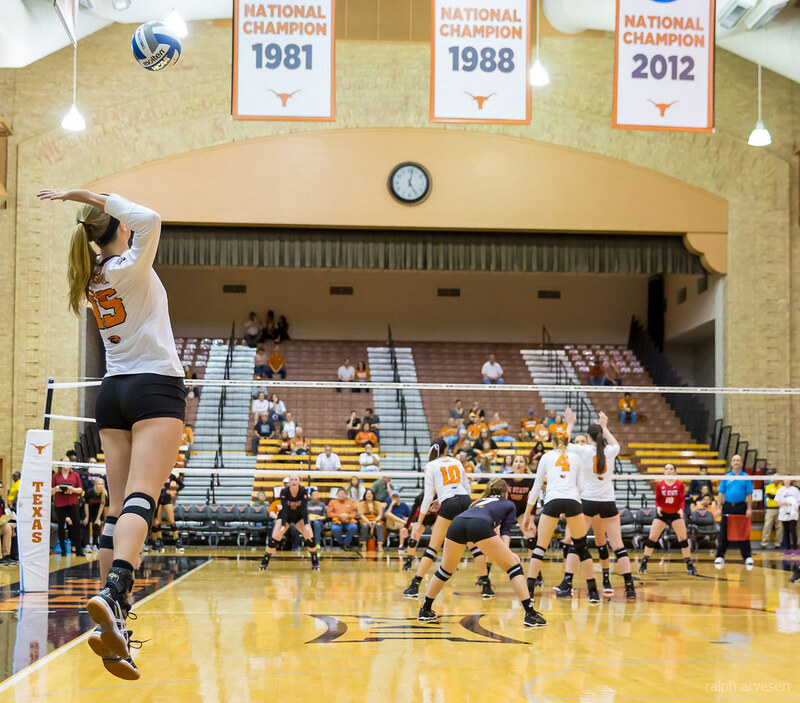 With the match tied at a set apiece at intermission, both squads came out looking to gain the advantage in Set 3. 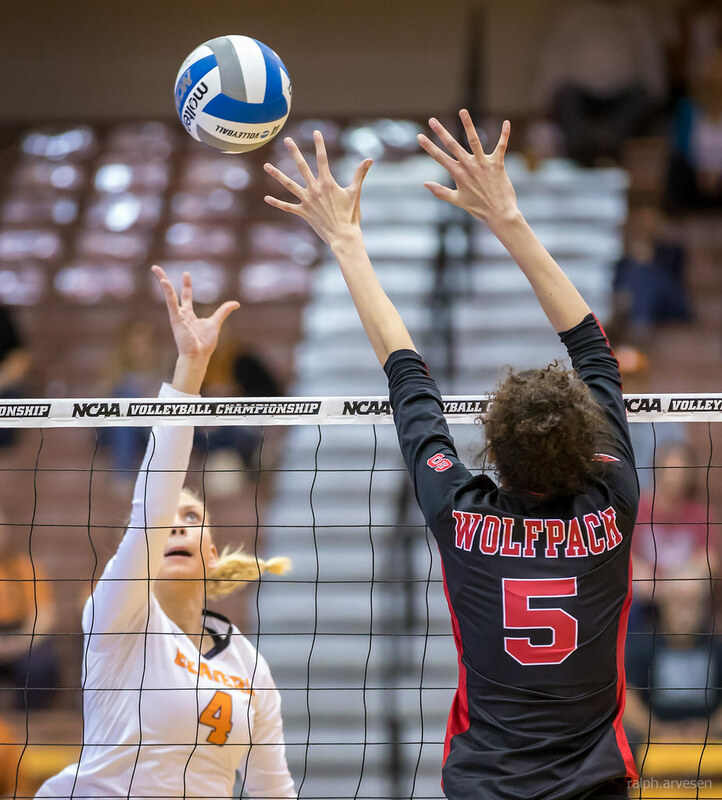 It was a set of spurts, with OSU recording four three-point runs and the Wolfpack countering with a pair of 4-0 runs that left the set tied at 15-15. 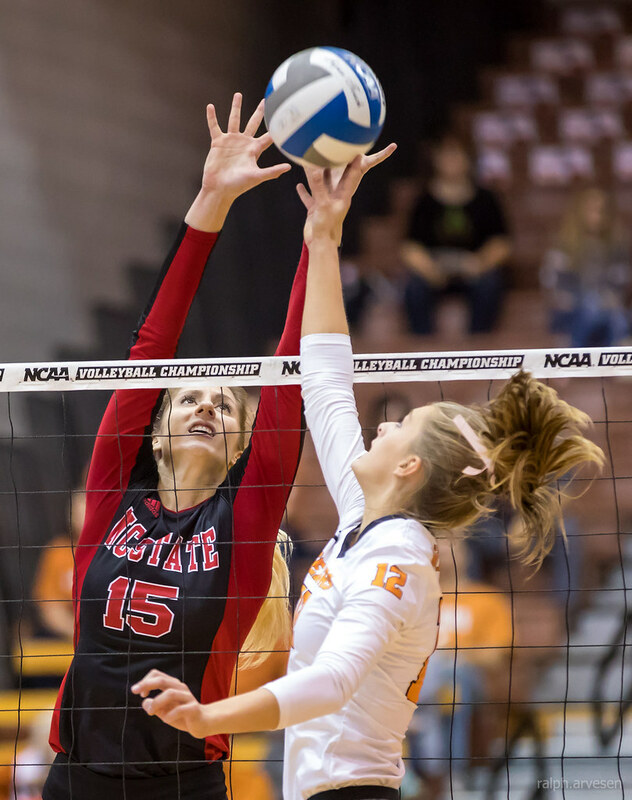 The runs continued with NC State scoring a pair and then another 4-0 run. 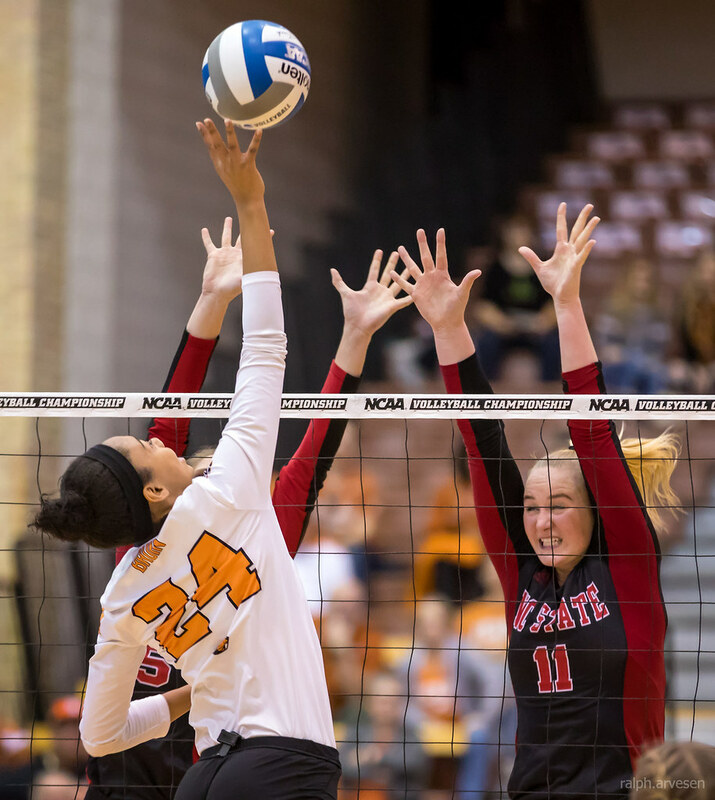 The Beavers answered with three in a row and closed the Wolfpack lead to 22-21, but an NC State timeout effectively settled their squad to take the final three points and the third set, 25-21. 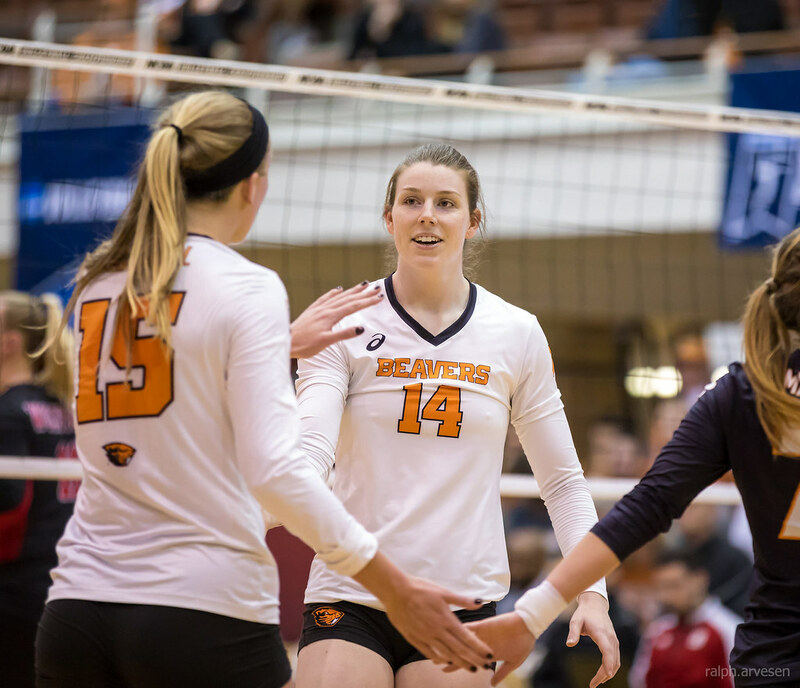 The fourth set appeared to be the Beavers' from the outset. 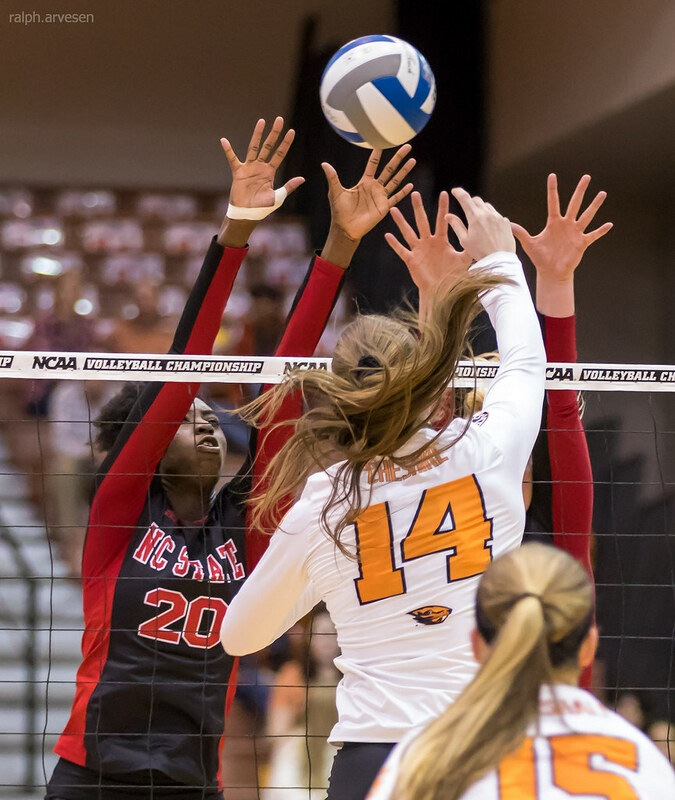 OSU lead throughout the set but never by more than three points until a kill from Shekinah Clarke gave the Beavers a four-point lead at 15-11. 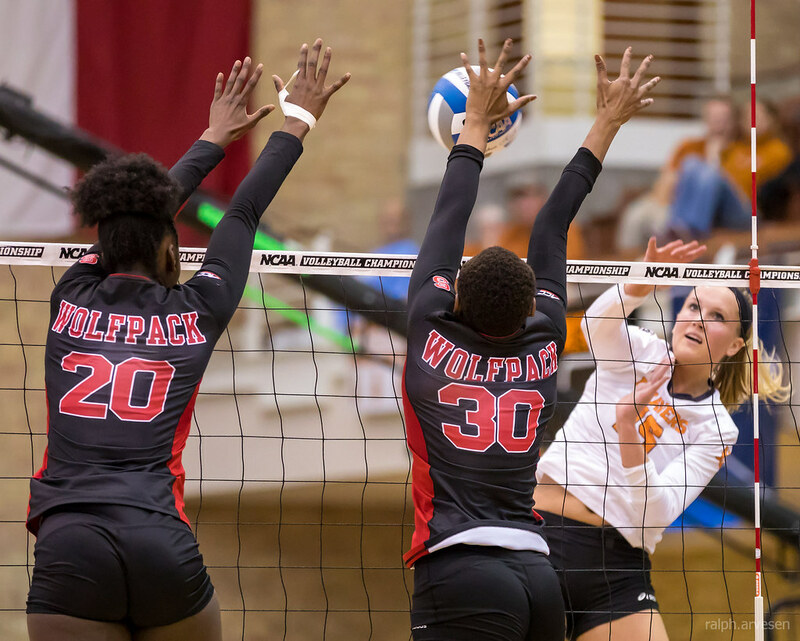 Still leading 18-14, the Wolfpack inched back to tie the score at 20-20 and again at 21-21. 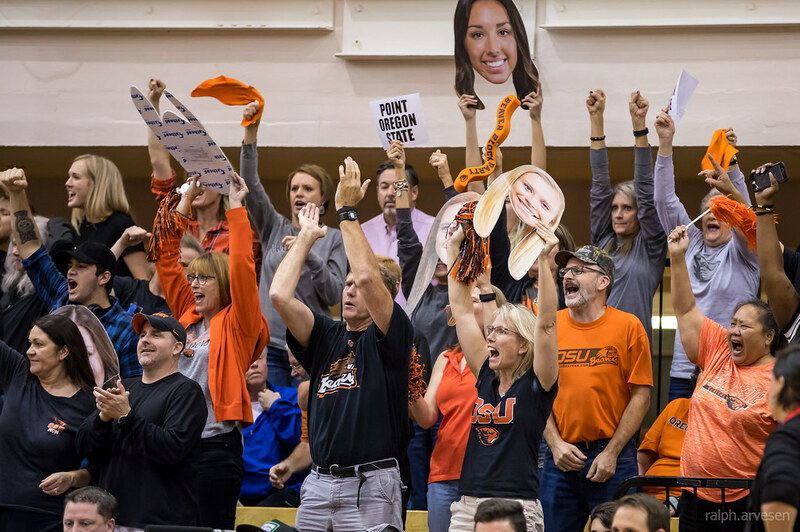 However, the Beavers posted three blocks in the last four points with by Serena Bruin and Maddie Goings and then back-to-back blocks by Kory Cheshire and Bennett secure the fourth set for the Beavers 25-21.